HiYAA, Groove-ophiles! 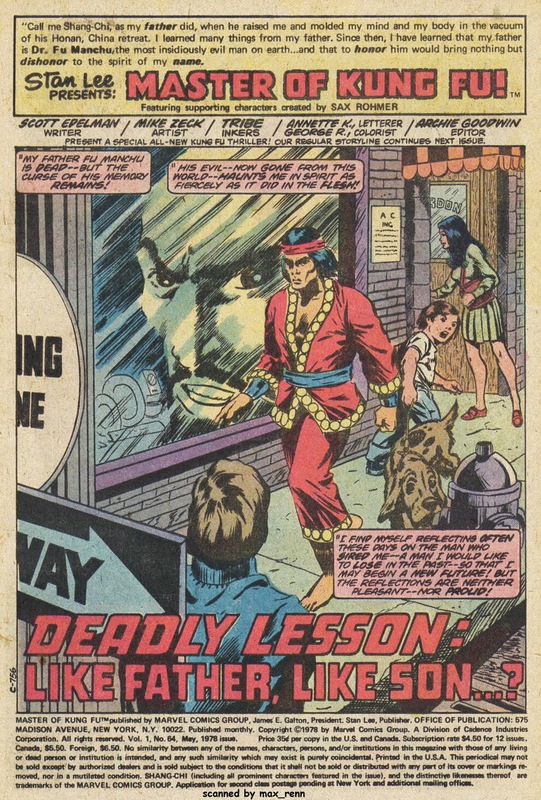 Whaddya say we kick off this weekend with some sensational splashes featuring Shang-Chi and crew by Mike Zeck! 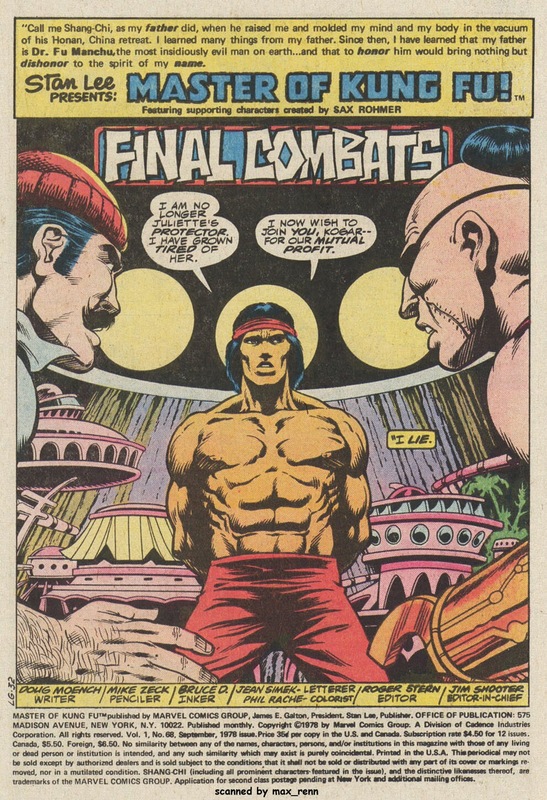 Mighty Mike started out as a fill-in artist, but quickly became regular Master of Kung Fu artist, drawing over 30 issues of MOKF and inked by a super-star line-up of finishers like Bruce Patterson, John Tartag, Al Gordon, and (best of all) Gene Day. 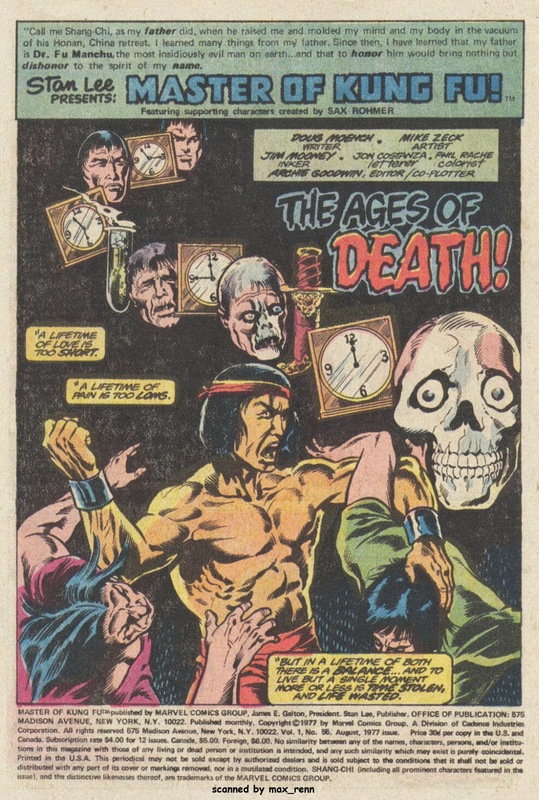 We're gonna take a look at the splashes leading up to Day's inking debut, then we'll dig on the Zeck and Day era next Friday! Are you ready to rumbllllllllllllllllllllllllle? I SO loved Master of Kung Fu. 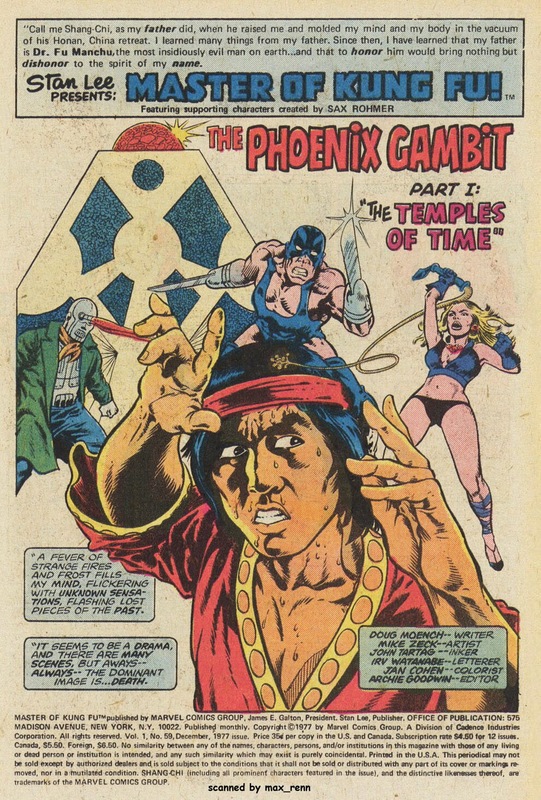 Like many genre works in the 70s, it sought to connect with earlier, more pulpy roots, here by making Fu Manchu our hero's father. It seemed as if all pop fiction was one long, continuous story -- I just ate it up. 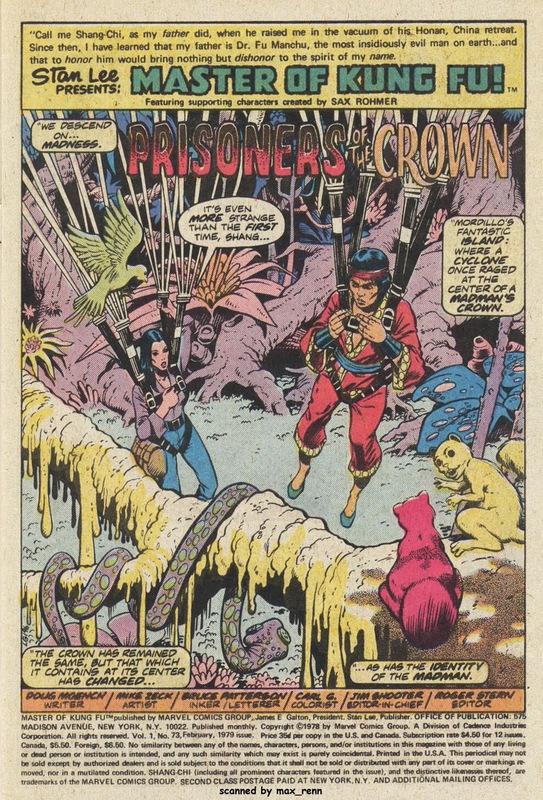 Add to that it was a great title, wonderful supporting characters -- just one of the best comics back in the day. And, boy, I miss those days! Great post, Groove. 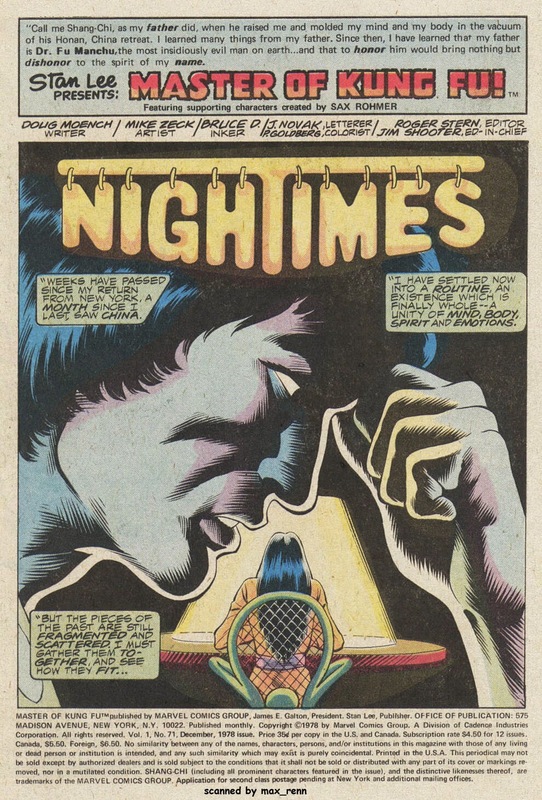 I only started reading MoKF when Zeck had taken over the art chores, and I just loved these. 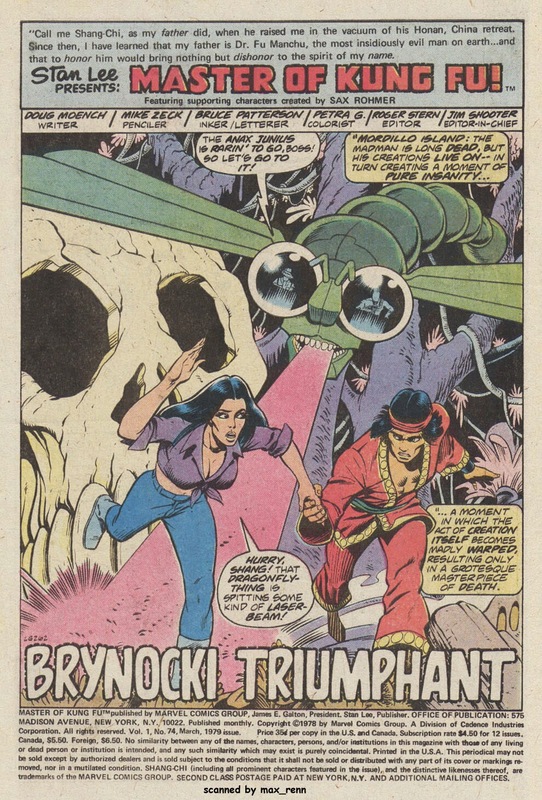 Of course, I later did manage to get a hold of a few issues from the Gulacy period, which are awesome, but Zeck really didn't miss a beat. 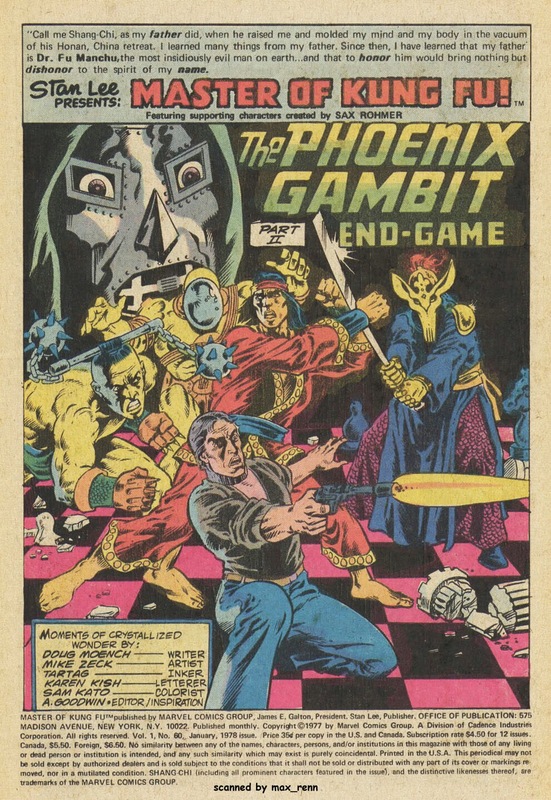 And yes, I agree that Gene Day took the art to a whole different level. I'll see you next Friday. The funny thing is, with the exception of #72 here, I have ALL of these issues still! 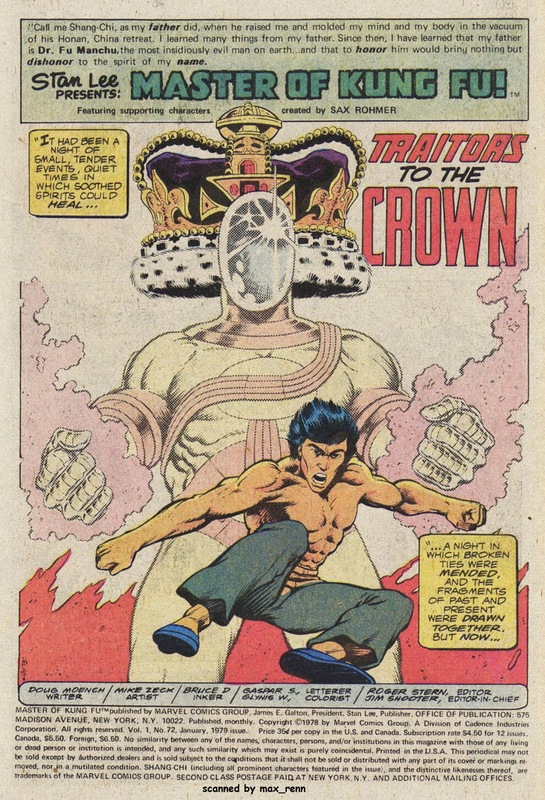 I started collecting MOKF in '80, til the end.I spent the last couple years rereading the whole series (which I may have accessed thru not entirely legal means, but I remain unrepentant til Marvel figures out a way to skirt legalities and REPRINT THEM!). 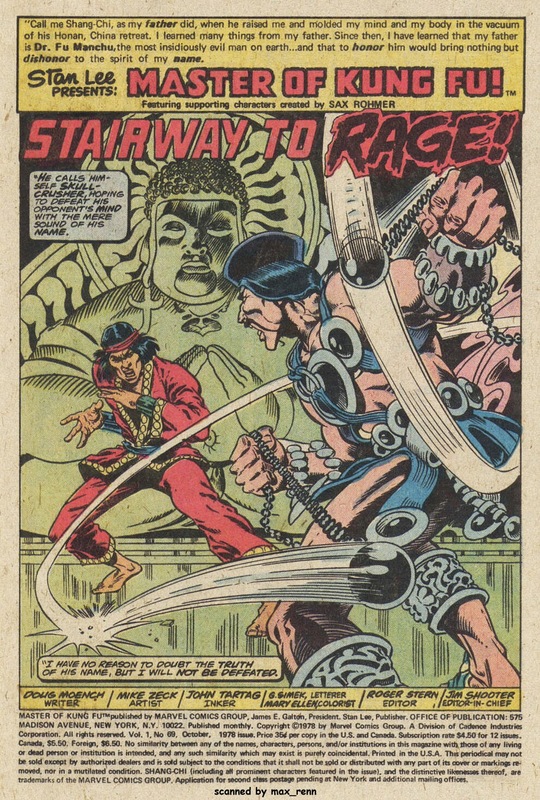 Moench manages to create long form, intricate masterpieces through the eras of Gulacy, Zeck, and (my personal fave for art) Day solo.The level of complexity in plot, characterization and page layouts makes me so sad for the current state of comics. 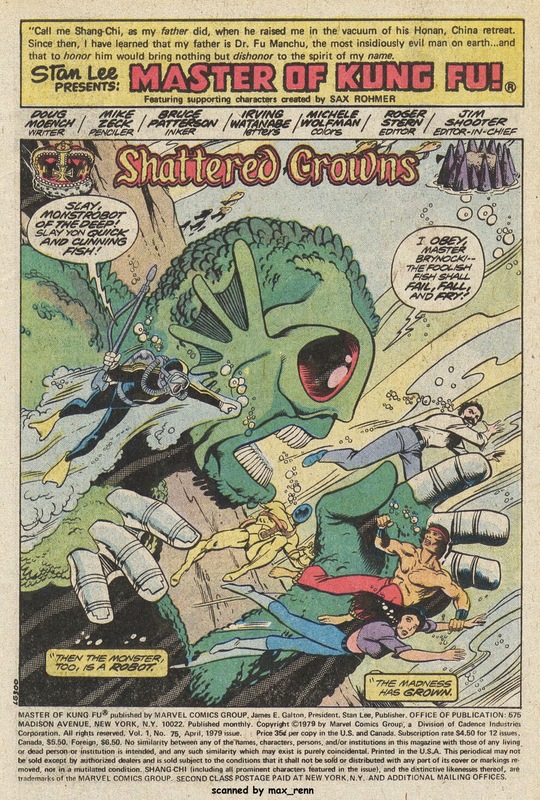 The splash inked by Fred Kida is really nice. I'll have to see if I can find the issue to check out the whole thing.